First official album release ‘Baltic Sea Voyage’, on Naïve Classique. Berlin, 26 January 2015. The Baltic Sea Youth Philharmonic (BYP) goes from strength to strength as it enters its eighth year. Following on from a hugely successful 2014, the Baltic Sea Youth Philharmonic and Kristjan Järvi return to captivate audiences in 2015 with two concert tours across Europe, their first official album release Baltic Sea Voyage, on French label Naïve Classique, concert debuts in Paris and Zurich and an educational workshop, “BYP LAB”, in Poland in March. 2015 also sees the Baltic Sea Youth Philharmonic honoured with the major award, the European Cultural Prize by the European Foundation for Culture. The orchestra was founded in 2008 as a joint initiative of the Usedom Music Festival and Nord Stream AG, the gas pipeline operator. Renowned for their exhilarating live performances, Baltic Sea Youth Philharmonic’s concerts have been heralded as inspiring examples of cultural collaboration in-action. This year, under the baton of Founding Conductor and Music Director, Kristjan Järvi, they bring their electrifying concert experience to, among others, audiences in Poland, France, Switzerland, Italy, Finland and Germany, including at the opening of the Usedom Music Festival, the birthplace of BYP. Featured in over 10 concerts throughout 2015 will be world-premieres of two new works by Baltic composers: by Lithuanian BYP composer-alumnus Gediminas Gelgotas and by Finnish composer Severi Pyysalo. In supporting new works and performing little-known Baltic music, BYP continues its commitment to keeping the musical landscape of the region alive and buoyant. The Baltic Sea Youth Philharmonic also makes its Paris debut at the city’s prestigious Théâtre des Champs Elysées, where it will present its signature programme, Baltic Sea Voyage, celebrating the rich and diverse musical landscape of the entire region. 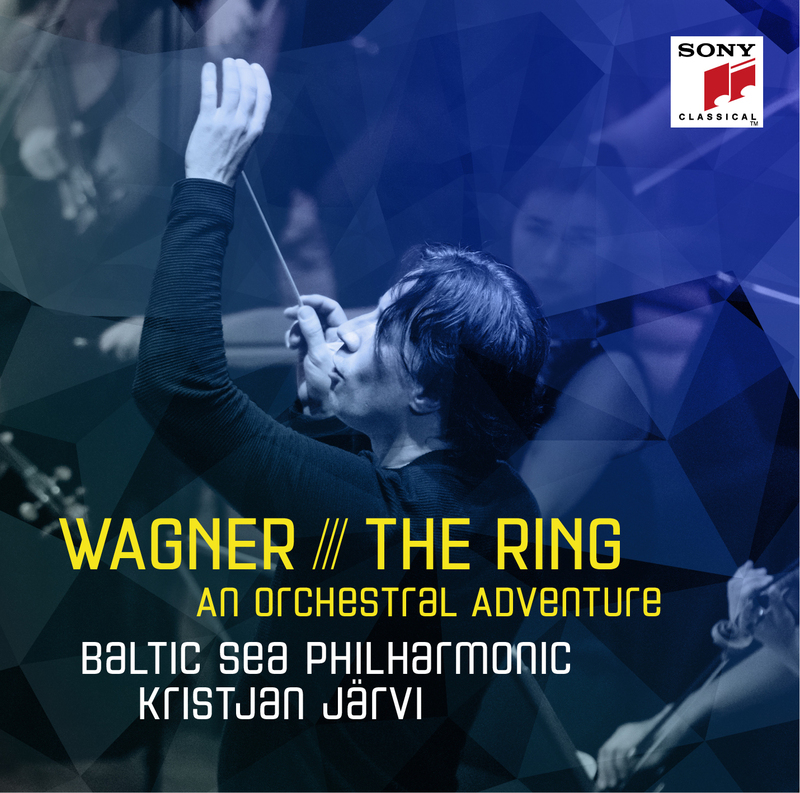 Baltic Sea Voyage also becomes BYP’s first official album release, out in April on renowned French record label Naïve Classique as part of the Kristjan Järvi Sound Project recording series. In October the Baltic Sea Youth Philharmonic will be awarded the European Cultural Prize of the foundation “Pro Europe”, recognizing its exceptional achievements in developing creativity and innovation, and influencing the young classical scene across the Baltic Sea region. In particular the prize jury cited BYP’s “passionate and thrilling performances as an example to others to inspire worldwide audiences and foster cultural understanding in Europe and beyond.” The prize will be presented by former German Chancellor Gerhard Schröder on the 25th anniversary of the reunification of Germany in Dresden’s Frauenkirche, and BYP and Kristjan Järvi will perform in the live televised ceremony. This year’s Baltic Sea Youth Philharmonic educational workshop, ‘BYP LAB’, will take place in March in Poland and will feature coaching and seminars. BYP LABs run by an international team of renowned coaches, embrace music of all genres, with rhythm and composer workshops and emphasis on the development of ‘groove’ and phrasing. BYP’s approach is spearheaded by Järvi, who founded the award-winning jazz-folk-classical-hip-hop group Absolute Ensemble over 20 years ago. As part of its September tour, the Baltic Sea Youth Philharmonic will give special performances for school classes in Copenhagen and teach young musicians the BYP approach. Founded in 2008 as a joint initiative of the Usedom Music Festival and Nord Stream AG, who continue to support the orchestra, the Baltic Sea Youth Philharmonic features musicians aged 18- 30 from, or studying in, the ten countries bordering the Baltic Sea. Retaining national specialities but opening up to international perspective, the musicians share their influence, knowledge and perspective to create a unique voice for the region. More than a youth orchestra, it is a project for cultural and social integration and cooperation to create unity in a historically-divided region.